WASHINGTON HEIGHTS — Ten years ago, the congregation of Mount Sinai Jewish Center in Washington Heights was so small that members couldn’t form a minyan, the group of 10 men required to recite certain Jewish prayers. Today, that problem seems unthinkable. “There was one point when the synagogue was starting to die out but then there was this resurgence. Now we have lots of members and the synagogue is almost full,” said Oren Hiller, Executive Director at Mt. Sinai, one of two Modern Orthodox synagogues in the area, which now attracts more than 400 people to its weekly services. In the past decade, the number of people living in Jewish households in Washington Heights grew 144 percent — from approximately 9,500 in 2002 to almost 24,000 in 2011, according to the most recent Jewish Community Study, released by the United Jewish Appeal Federation of New York in January 2013. This increase was the largest growth rate of any neighborhood in New York City or its suburbs, even in Orthodox Brooklyn, according to the study — which is done every decade. The population growth marks a return to an earlier time in Washington Heights' history — back when it was home to tens of thousands of German Jews. The population steadily started to decline in the 1960s, despite a surge of Russian Jews who fled the Soviet Union in the 1980s and settled in Manhattan, according to The German Jewish Community of Washington Heights. But according to the latest statistics, the current round of growth isn’t being driven by a particular ethnic group moving in, but rather an up-and-coming group of young people. Forty percent of Washington Heights' Jewish community falls between the ages of 18 and 39, compared to 26 percent for the overall Jewish population of Manhattan, the study found. “This northern Manhattan area is a magnet for college graduates, young singles, and newly married couples in search of affordable Manhattan housing,” wrote the authors of the study. Anat Coleman, 33, moved to the neighborhood in 2002 and has watched a thriving young Jewish community develop in the more than a decade since. The Washington Heights population is not only younger, but also more religiously observant than other Jewish communities in Manhattan. Twenty-one percent of Jews surveyed identified as Orthodox, a form of Judaism that entails strict adherence to the laws of the Torah, according to the study. Signs of the growing Orthodox community have sprung up around the neighborhood in recent years, as synagogues have constructed eruvs — or delineated boundaries that indicate where Orthodox Jews can carry out important tasks such as pushing strollers during Sabbath — along several streets from 180th to the southern end of Fort Tryon park near 190th street. Chop Chop, a Chinese Kosher restaurant that opened in 2010 at 501 W. 184th Street, does a steady business with both Yeshiva students and young, Orthodox families that live on Bennett Avenue. Lower living costs and better quality of life may be key factors in drawing both Orthodox and non-Orthodox Jews to the neighborhood, those in the community say. 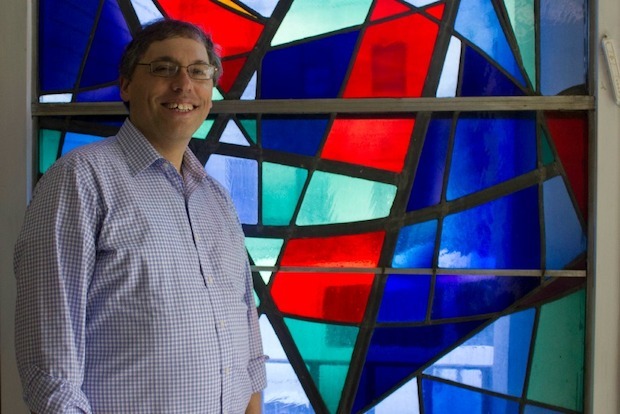 The Fort Tryon Jewish Center, a non-denominational, egalitarian synagogue, has grown from about a dozen members in 2002 to more than one hundred members now, according to president David Libchaber. He said much of the congregation’s growth has been fueled by couples that moved to the neighborhood to raise families. “It’s one of the few neighborhoods left in New York where you can afford to buy an apartment without necessarily working on Wall Street. It’s a very desirable community,” he said. As more families have moved to the neighborhood, more services have sprung up to help them. Many synagogues now offer children’s programming along with weekly prayer services. The Mount Sinai Jewish Center is in the process of opening a Jewish daycare and Kindergarten. The Jewish Community Council of Washington Heights started a book sale and a lending program for maternity clothes and baby supplies. Coleman, who works for the JCC, hopes that these services will encourage more young, Jewish families like hers to stay in the neighborhood.